From the Black Panthers to Patti Smith. 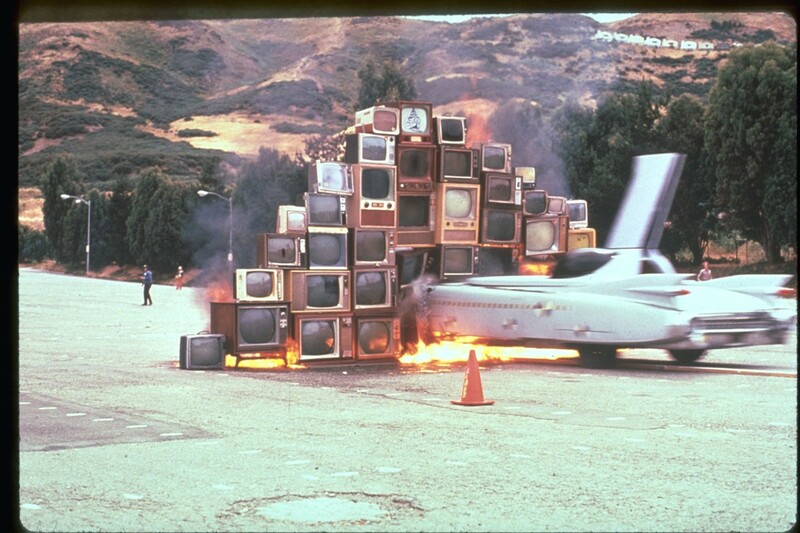 Documentation of Ant Farm's 1975 performance "Media Burn" is among the work exhbited in Mind Over Matter. This fall, the East Bay visual arts scene will erupt with worthy shows — far too many to comprehensively feature here in this limited space. But among them, a theme arises: historical homages. Whether offering a look back at the legacy of the Black Panther Party, the influence of first-generation conceptual artists, or the oeuvre of musical icon Patti Smith, exhibitions this fall will have viewers honoring the past. This free entry Mills College Art Museum, tucked away on the oasis of the liberal arts school's campus, is often underutilized by East Bay museum-goers. This fall will be a prime time to visit. The main gallery will host The 96th Ritual (for Anna Halprin), a showcase of photography, video, scores, and installation work exploring the experimental creative process, and dedicated to legendary Bay Area dance pioneer Anna Halprin. (See our Fall Arts dance preview on page 30 for details on accompanying dance performances.) Meanwhile, the college's Rare Book Room will host Root Connection: Twenty Years of the Patti Smith Collection, which will show off the libraries extraordinary collection of books, journal articles, photographs, poetry, and ephemera by and about the iconic musician. Both shows run from September 14 through December 11. In case you haven't heard, this October marks the fiftieth anniversary of the founding of the Black Panther Party in Oakland. To celebrate, institutions across the East Bay and the country are programming homages to the Panthers and their legacy. From October 8 though February 12, the Oakland Museum of California will present All Power to the People: Black Panthers at 50, a sprawling exhibition of historical artifacts, firs person accounts, and Panther-inspired contemporary art that will highlight how the social movement and political party still shapes our lives today. Joyce Gordon Gallery, one of Oakland longest-running Black-owned art venues, will present its own homage to the Black Panther legacy: The Point is... 2.0. 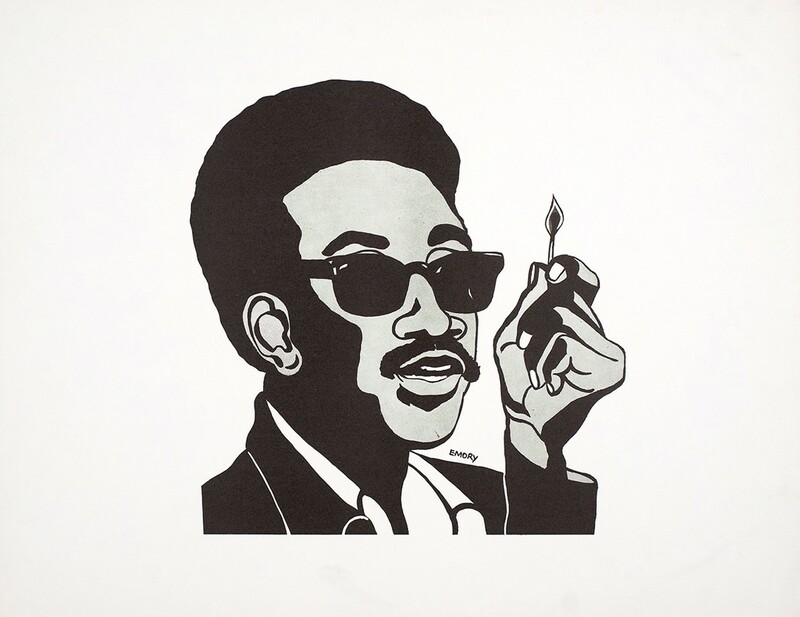 The show will feature works by seminal illustrator and original Minister of Culture for the Black Panthers Emory Douglas, along with the Oakland Maroons Art Collective: Tarika Lewis, Akinsanya Kambon, Ducho Dennis, Duance Deterville, Rage Souljah, Chris Herod, and Refa One. The multi-media works on view will honor the Panther's ten-point program, the party's 1966 set of demands and precepts addressed to the United State government. The show will also feature unpublished photos by the late Ducho Dennis, Master Artist and official photographer for the Black Panthers. The show runs October 7–29, with a series of accompanying events including two panel discussions that will take place October 8 and 22. 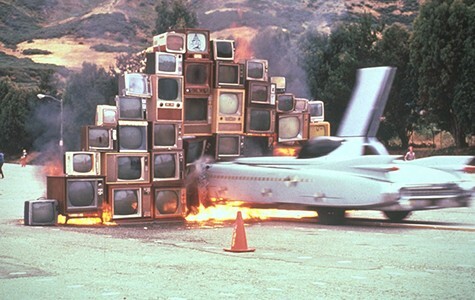 The show to look forward to at BAMPFA this fall is Mind Over Matter: Conceptual Art from the Collection (Oct. 19–Dec. 23), a showcase of the institution's array of first-generation conceptual art from around the world. The extensive show will feature text-based works by the likes of John Baldessari and Ed Ruscha; posters by minimalist master Sol LeWitt; the instructional "paintings" of Yoko Ono; performance documentation of works by Marina Abramovic and Terry Fox; and video work by Bruce Nauman and Ant Farm. Those who visit the show after November 9 should also make sure to see Covered in Time and History: The Films of Ana Mendieta, the largest selection of the seminal multi-disciplinary Seventies artist's films ever presented in the United States. Covered in Time and History will continue through February 12. On March 3, 1991, George Holliday recorded a video of Los Angeles police brutally beating a Black man named Rodney King. Soon after, a jury acquitted the officers involved, a decision that triggered the 1992 Los Angeles riots. In the quarter century since, video footage of police violence against Black Americans has continued to shed light on the United States' police brutality epidemic, spurring the mobilization of a social movement against lethal, racist policing. Viral: 25 Years from Rodney King, which will be on view at Betti Ono gallery September 16–October 22, will present a timeline of the movement against police brutality since Rodney King through eighty pieces of visual art. The show was conceived by Bay Area artist and educator Daryl Elaine Wells and opened this April in Los Angeles. The Betti Ono showing will coincide with the gallery's sixth anniversary event (October 7) and close with a community day of action. In celebration of its eightieth anniversary, the Richmond Art Center will present Making Our Mark, a show that highlights living artists who have made important contributions to its program throughout time. In a nod to the center's mission of educating and nurturing the Bay Area arts community, each of the fourteen invited artists was asked to invite a younger artist — someone who they've mentored or whose work they feel deserves attention. The result is a fascinating collection of artists that allows the viewer to trace intergenerational influence. Some of the pairs include large-format landscape photographer Richard Misrach alongside postcolonial video, installation, and performance artist Sofia Cordova; and famous former UC Davis professor William T. Wiley alongside found-object installation artist Mary Hull Webster. A wealth of programming will accompany the epic show. Aside from all the group homages planned this fall, there are of course myriad anticipated solo shows to look out for. At Royal Nonesuch Gallery in Oakland, Amy Ho will present the second installation in her Spaces from Yesterday series that recreates memories belonging to San Quentin Prison inmates (Oct. 21–Dec.11; RoyalNonesuchGallery.com). The Berkeley Art Center will present Kathy Aoki's Formidable Fragments: Breaking Down the Cult of Cute, a Hello Kitty-focused take down of commodified cuteness (Oct. 8–Nov. 20; BerkeleyArtCenter.org). At Interface Gallery, Lana Williams will present hybrid paintings and sculpture that offer tension evocative of the clash between queer identity and societal expectations in Quiet Riot (Oct. 20–Nov. 27; InterfaceArtGallery.com). In The Living Body Archive of Linquox Criss at City Limits gallery, Amanda Turner Pohan will show two odd bodies of work that promise to somehow relate: sculptures embedded with scents, and artwork created using the video game Second Life (Oct. 14–Nov. 19; CityLimitsGallery.com). And those who enjoy dark, anime-inflected illustration and painting should be sure to see Cannon Dill's Casual Decline at Athen B Gallery (Oct. 15–Nov. 4; AthenBGallery.com).